For Louise de Marillac the years 1625-1633 were a time of preparation and discovery and reflection for the incredible ministry that awaited her in the Company of the Daughters of Charity. 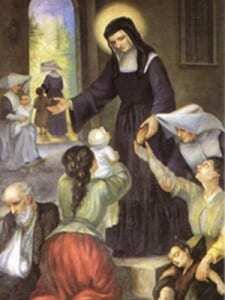 Her collaboration with Vincent de Paul and her experience in serving the Confraternities of Charity allowed her to discover the importance of being in the midst of those realities that affect the life of the poor, the importance of respect for the person and the need for collaborative action. Her frequent reflection on the mystery of the Incarnation placed her in the presence of God’s commitment to the poor and this in turn led her to a deeper commitment on behalf of those who were poor and in need.